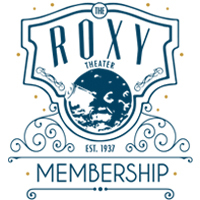 Become a Member of The Roxy Theater and join the excitement at Missoula’s Community Cinema. You’ll get great benefits and be a part of our work to inspire, educate & engage diverse audiences through our innovative programs. The Roxy hosts screenings and events seven days a week including new releases nightly and a monthly calendar of independent, foreign and classic films, theater, and community events. We are merging community, cinema and education with the help of our community, volunteers and you. You will enjoy exclusive member benefits, our triple-organic popcorn, perks at our annual International Wildlife Film Festival, Montana Film Festival, and more. $5 movies for students and seniors! *May exclude certain special events, community rentals, fundraisers, or broadcast programs. Always save $2 at the Box Office and get a free popcorn! Galaxy benefits for two! Each member will save $2 on movies and always get a free popcorn at The Roxy. Cosmic members get unlimited free movies and popcorn! *May exclude certain special events, fundraisers and community rentals, and broadcast programs. Supernova benefits for two and an incredible contribution to community arts and culture.